The VZ-DC is a swivel clamp upgrade for the PG-L controller. This action camera clamp mount offers a multi-position angle adjustment and allows direct replacement of the LSP support handle with the PG-L controller. The VZ-DC is a clamp upgrade for the PG-L controller. This Deluxe Clamp extends the versatility of the PG-L controller, allowing you to mount the handle to suit a variety of shooting styles. 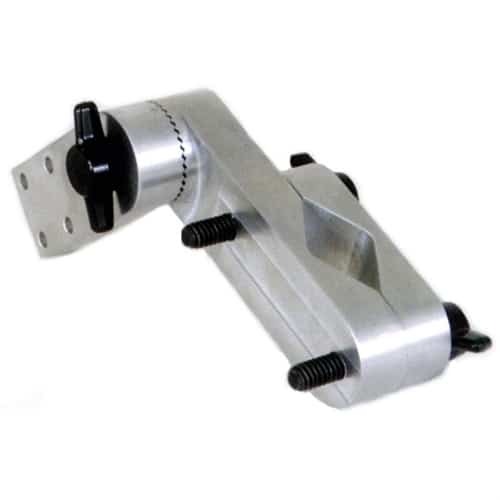 With a simple twist of the provided thumbscrew, the VZ-DC swivel clamp can be rotated and locked securely into place, providing quick and stable adjustment to changing shooting requirements. Constructed of the same industrial-grade aluminum as the PG-L zoom controller, the VariZoom Deluxe Clamp is designed to stand up to the rigors of even the most demanding location production.